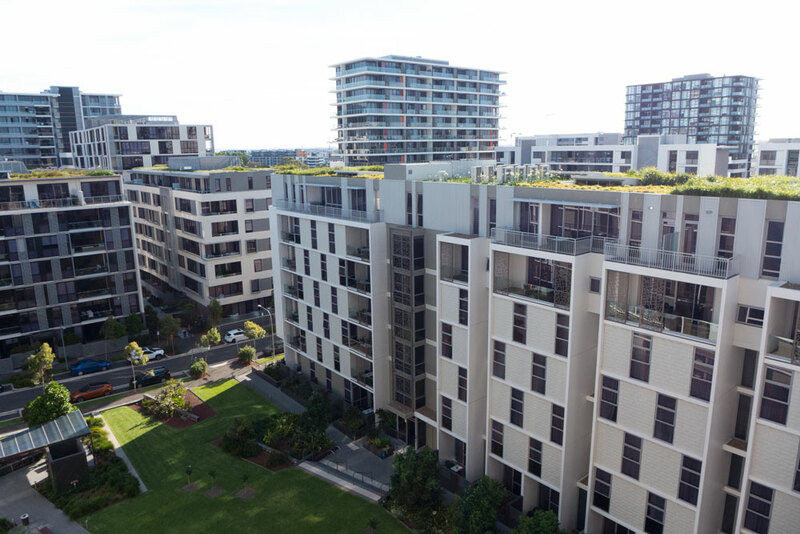 The $13 billion Green Square project is transforming the southern precinct of our local area into a vibrant and sustainable urban environment. 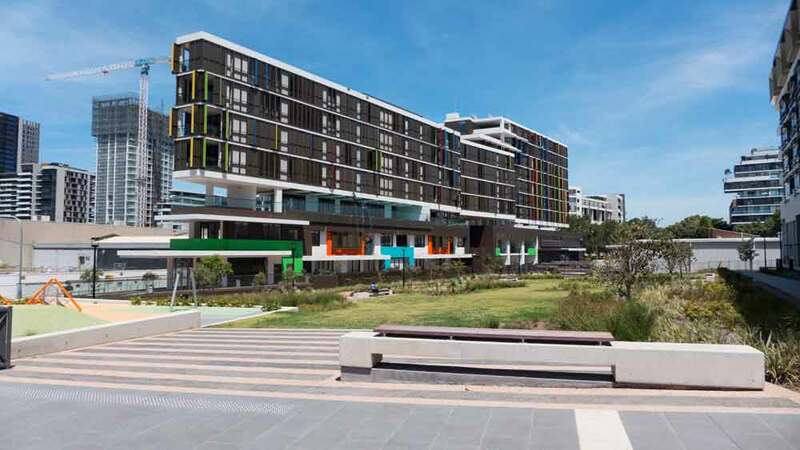 Green Square is set to become a new exemplar of sustainable high density living with developments linked to recycled water, shops, parks, gardens, entertainment, and bike and walking routes. Anyone driving in from the airport into Sydney via South Darling Street must have noticed the massive residential developments happening on the west side. 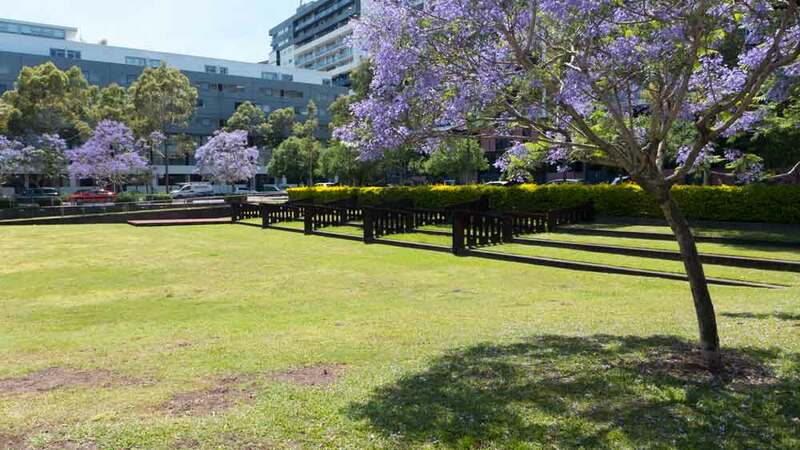 The area is Zetland which has been classified by the council as being part of the greater Green Square developments. Green Square is actually a kilometre or so further west and is the closest train station. The development is massive now and there is more to come. As usual in such development cases, the spin doctors have been busy and the professions are out to list aspects of these developments for all manner of awards. 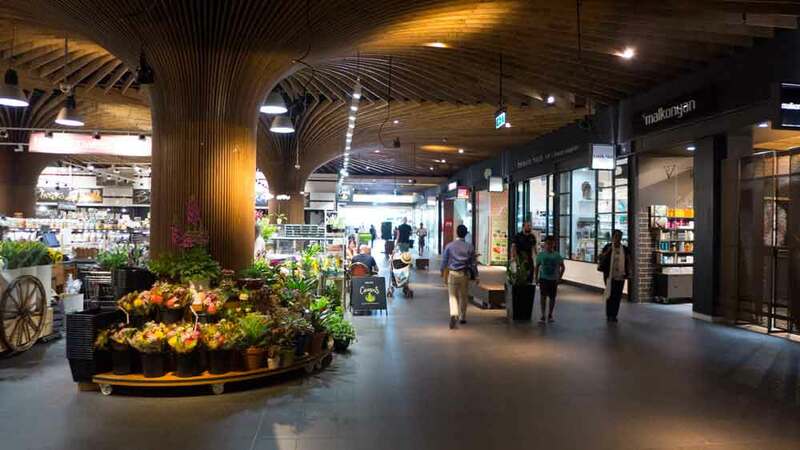 Looking out and walking around the area is a strange experience for anyone who likes architecture, enjoys variation and looks for how such developments are addressing current urban issues such as climate change and basic sustainability. 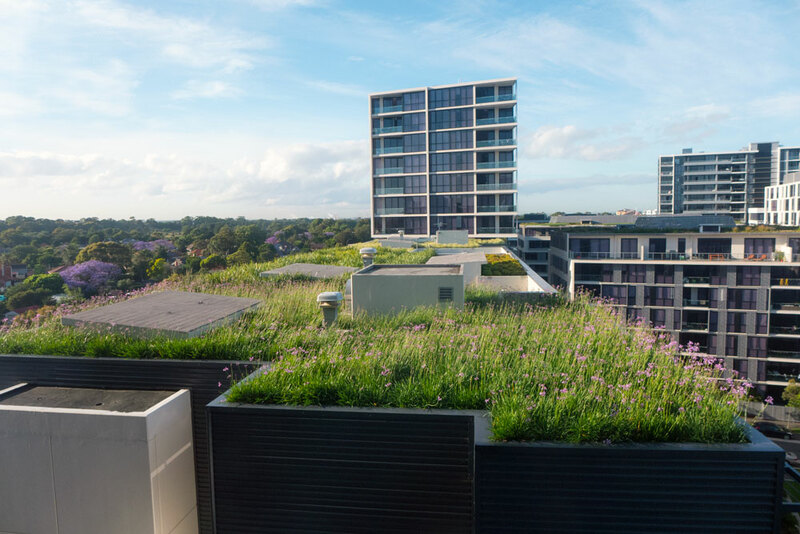 Some of the buildings do have green roofs. They look good. But being on flat roofs in Sydney, I would not recommend purchasing a unit on the top floor of any of these buildings. The people of Sydney know about the sudden downpours and how the flat roofs do not cope with disastrous consequence. And having a green roof on these buildings is green wash at best. All the buildings have massive air conditioners and none as far as I can see have anything like central breeze-ways built into them. I suspect the upper floors would have thickened glass, but I could not see any double glazing. The only solar panels were on an older building now used for the library. This area has some very pleasant sea breezes but this has not be considered in the design of the many towers that dominant this landscape. At night, there is the humming sound of the many air conditioners. There are several open spaces/parks that have been reasonably well designed. There’s nothing outstanding about any of them except that they have been provided in an area where good design seems mostly lacking. 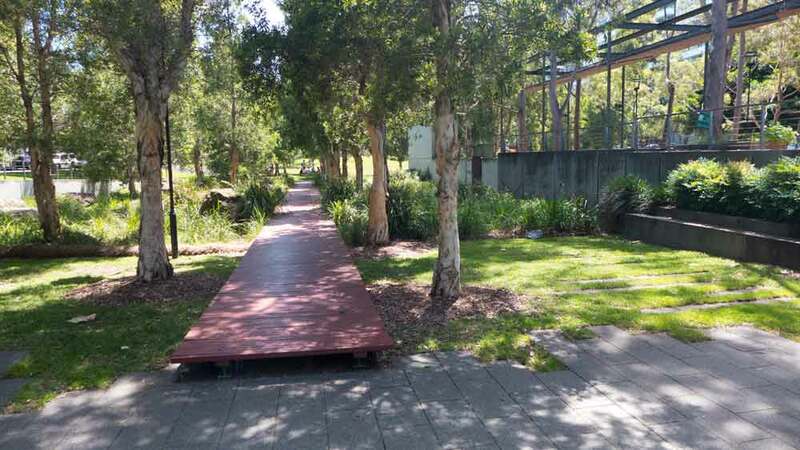 The parks are luckily not dominated by archipark features – except in one case where it looks as though the designers could not help but introduce some rusted metal things – even though they make no sense at all. A couple of the streets have a generous plantings with some mature gums down the middle with swales to catch the water run off. In short there are a few fine aspects of urban design. But the overall effect is the dominance of the bland box architecture and the lack of variation in the urban fabric. 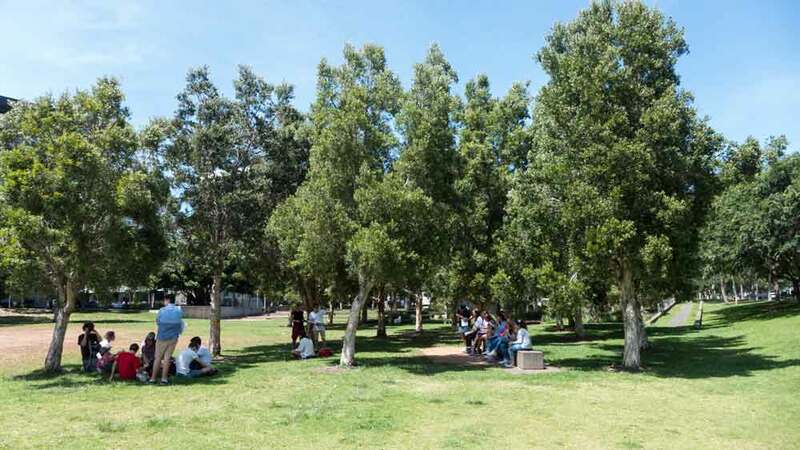 On funny note: As we walked through one of the parks we came across a group of university students being tutored by a your tutor – lucky to be 30 years old. He was enthusiastically telling the students about how wonderful the area was. Several were actually listening – most were very bored or distracted with taking photos of themselves. 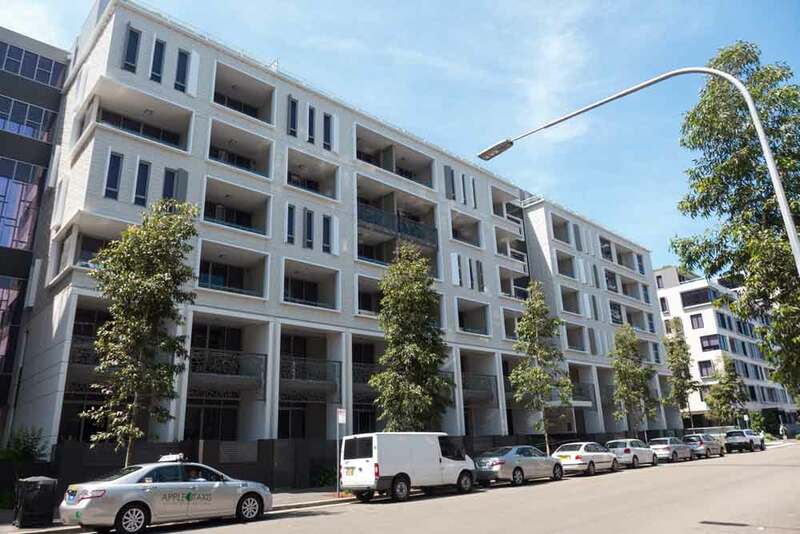 People have chosen to live in the Zetland and Green Square area. I am sure for the price the choice to live there makes some sense. 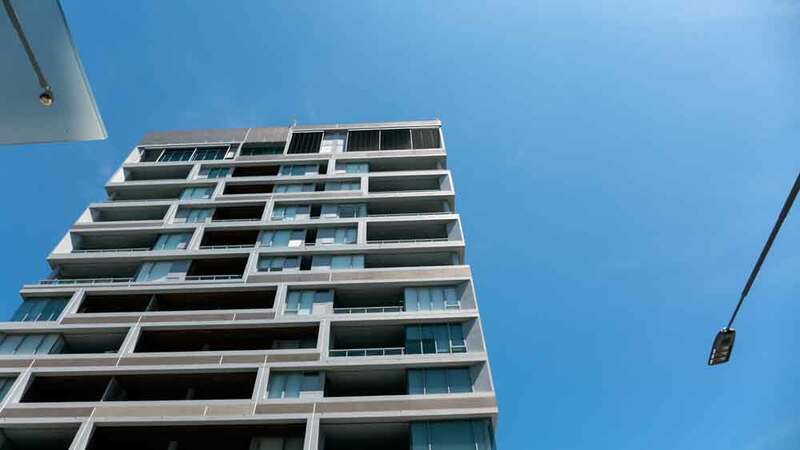 Most things are provided that make for a place to live and socialise. It is just that as a whole precinct it is so bland and very boring to walk around. But I am sure there are a list of awards shared out amongst the professionals and property groups — based on spin and well doctored photos. The reality is green wash and acres of bland. The logical result of all that property and urban lobbyist’s spin that we have suffered through for the last decade or two. It is all just too vibrant!